Having all of your friend’s or client’s addresses in one place is a necessity in order to keep everything organized. Using the Address List Template can save you time, and it allows you to have all the important information you need in one place. The template is very easy to use and it can be downloaded right here for free. The template can be customized to include any information you need from their address and telephone number to their birthday or other personal information. No matter what you need an address list template for, this template will be easy to customize to fit your needs. First, you will want to fill in the template with your contacts first and last name. You can put them in alphabetical order or any order you want them in. Second, you will want to add all the information that you need for each contact into the form as well. You can change the order of the fields so that the template fits your own needs. Third, you can delete the cells that you do not need to fill in. You can add as many additional fields to the template as you need. First, you can sort the template by any column. The fields can be put in order by first name, last name, or any of the other fields that are on the template. You can also put the fields in any order that you need. If you need the address first instead of the first or last name, you can switch the order. Second, you can add as many fields as you need. You can change the size of the fields in you need room for more information in some of the fields. Third, you can change the color of the fields so that certain information is easy to find. You can also print out the template if you need to share the information with other people. 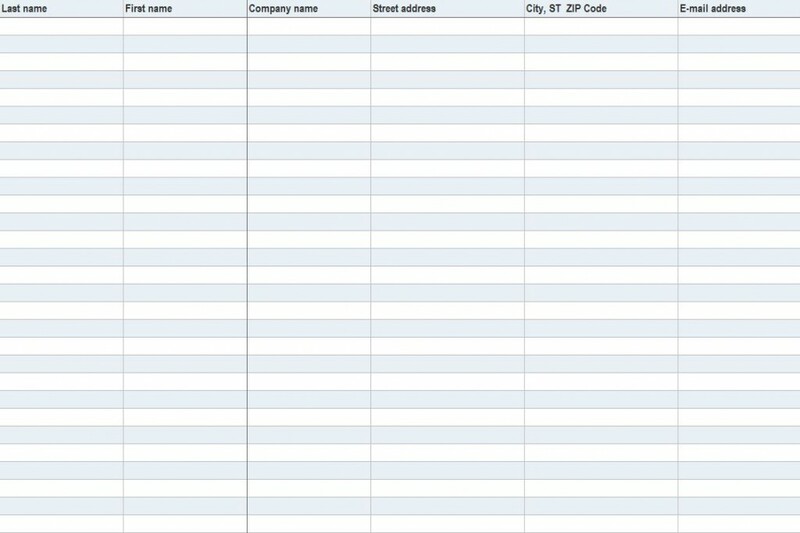 Using the address list template is a great way to keep all of your contact’s information in one place. You will easily be add to add new information as you receive it, and delete contacts that you do not need anymore.